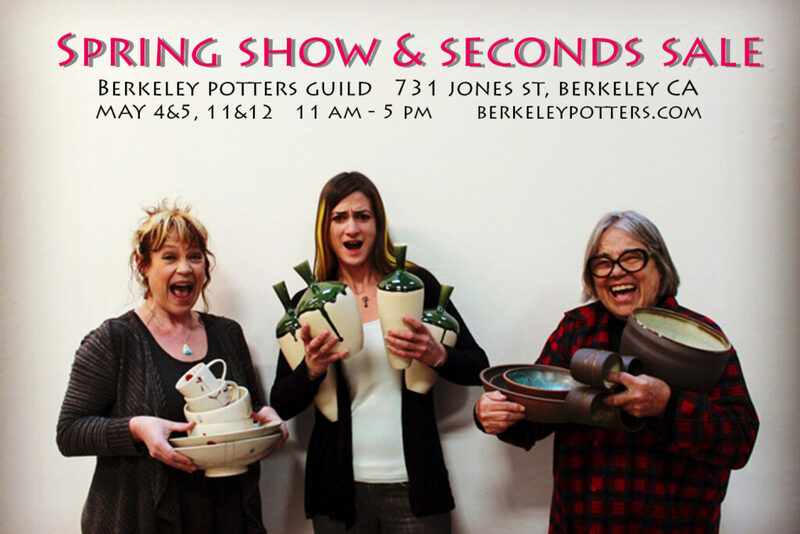 Spring has sprung, potters’ wheels spin, kilns fire priceless treasures, and our annual SPRING SECONDS SALE is on the horizon, the first two weekends of May. Phenomenal discounts as well as what could only be called contemporary heirlooms will be exhibited and for sale as our Spring sale leapfrogs into the East Bay Open Studio Tour June 8/9 and 15/16. Six weeks celebrating clay and offering Guild top notch work to the public. Our in-house Guild Gallery will feature pots inspired by and for the verdant, flowering world… creations of luminous and flowering vases, whimsical cups, blossoming plates, bowls, exquisite ceramic jewelry; pots to enhance your home and table, living with beauty everyday. Don’t miss our show and do come early for the best possible deals!